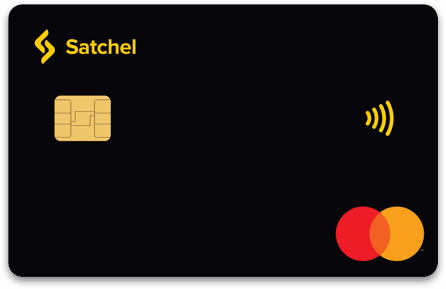 SatchelPay card is the easiest and the fastest way to access your money. You can withdraw funds or make payments in more than 50 million online or offline stores, where card payments are accepted. Discover more features that suit your personal or business needs. Instant access to your account through a payment card. There is also a virtual system that provides a secure way to keep your main card safe against unauthorised use. You may create as many virtual cards as you wish for online payments, subscriptions and even single online purchases. All cards will be linked to your account and visible from one single access. You can block and unblock your card at any time with a single tap on your online access. You may also set-up real-time push notifications on your phone to keep an eye on any card transactions. SatchelPay brings simple turn-key card solutions to complex business needs. Our card program is the solution that brings additional value to your project, expands existing services, as well as monetising card usage in the best possible way for your business model. Control any type of business expenses of your employees with transactional/ATM limits and real-time push-notifications. The tool for rewards. Pay-out through an API, with no fees. Provide access to your clients’ deposits and earn commissions from their transactions. Your clients may issue virtual gift cards to their interlocutors from the back-end of your platform. This service increases web site members. For every purchase issue a virtual card that will be a unique payment method on the web site of the service provider. Within the payment confirmation you may attach a picture of the virtual card that was used for the transaction. Provide 24/7 access to your clients’ funds through payment cards. Clients can temporarily use their money, you can earn commissions for loading/using the cards. Empower growing industry through payment cards. We will integrate our solution and make your enterprising FinTech project accessible through a network of 30 million locations worldwide. Registered and authorised financial companies may offer their clients card products, without being a direct issuer. While waiting for your own card layout, you can immediately start selling existing cards with a neutral design.